At Wiegmann Associates, it’s all about teamwork. Our team has driven Wiegmann to become a national leader in HVAC Design/Build and provide excellent HVAC service to the St. Louis region. Ours is a learning environment, with an unmatched depth of expertise. Three times as many engineers as our competitors. Ongoing training opportunities. 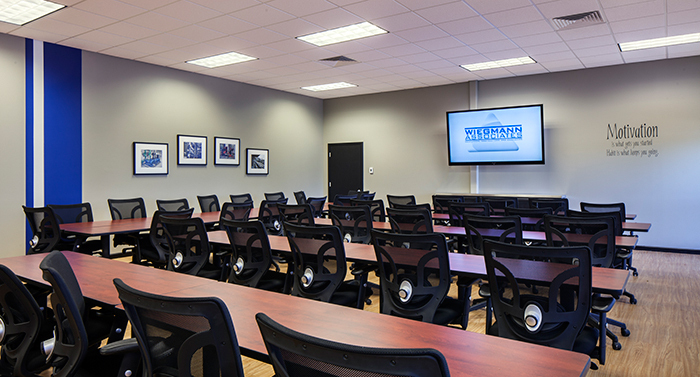 An in-house classroom and training room. And a comprehensive safety program. We have built a team of people who think outside the box. Are excited by technology. Get it done on time. Keep one eye on the ball and the other on the budget. But, above all, people who put client needs first. Friendly, responsive advocates who seek today’s solutions for the life of our clients’ buildings.